AERO 2019 - BRUNNER INTRODUCES NOVASIM VR TO THE PUBLIC. 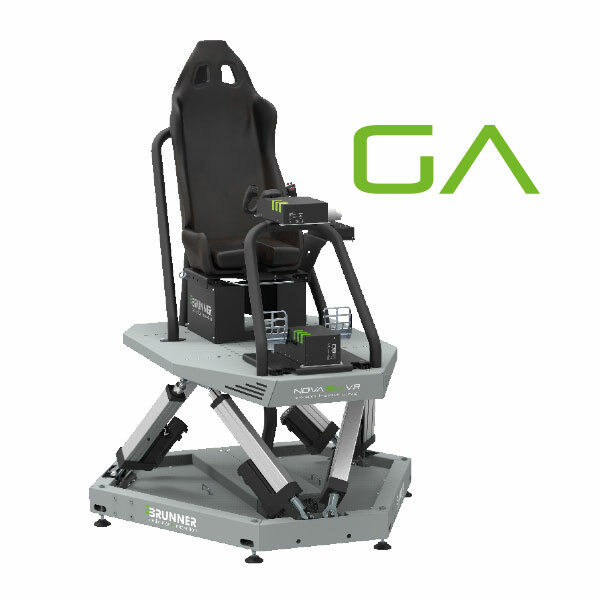 COME AND EXPERIENCE THE NEXT GENERATION OF OUR INNOVATIVE VR FLIGHT SIMULATORS! BRUNNER introduces NOVASIM VR: Interactive Simulation, Full Immersion and Highest Training Value at an outstanding price-to-performance ratio! 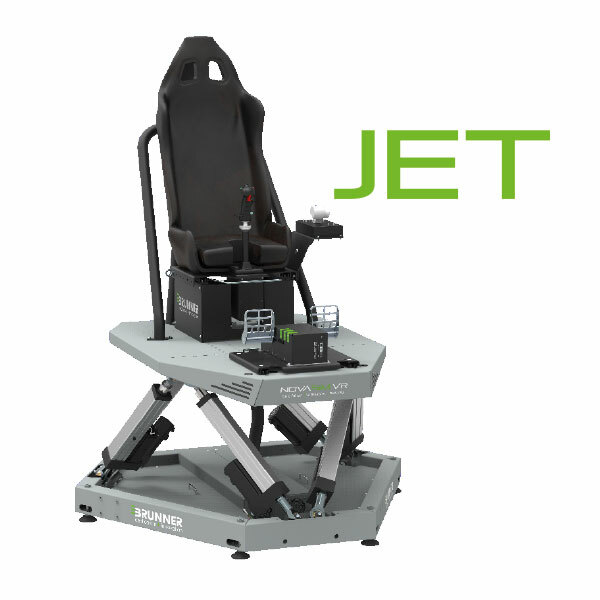 On April 10th, BRUNNER Elektronik AG will introduce its next generation 6 DoF motion-based VR Flight Simulator to the public: NOVASIM VR. NOVASIM VR combines State-of-the-Art Virtual Reality technology with powerful dynamic motion enriched Virtual Training environments. It offers innovative training capabilities for a wide range of applications, like aircraft, military ground vehicle, racing cars or even boats (air, land, sea). Combining most-advanced VR technologies and a unique motion compensation algorithm with highly advanced and latency-free motion cueing algorithms allows every NOVASIM VR user to experience an incredible immersion and training effect. NOVASIM VR comes as a fully integrated solution, with power electronics and controls seamlessly integrated into the base-frame, following BRUNNER’s Plug-and-Play approach. Communication with the external environment is handled via an UDP network protocol and Gigabit Ethernet. 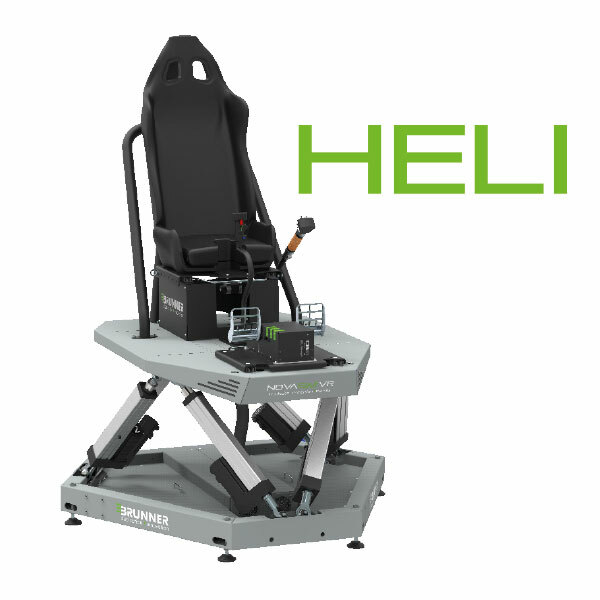 A powerful and intuitive motion configuration application is used for setup, motion profile creation and operations control. NOVASIM VR allows easy integration and configuration for a multitude of simulation packages and platforms. Configured for general aviation training, the combination of X-Plane 11 Simulation Software and FS-FlightControl IOS allows the intuitive and integrated control and monitoring of a full training session via a single tablet-PC. The full spectrum of software products supported by NOVASIM VR covers X-Plane 11 or Prepar3D with FS-FlightControl, VBS3/VBS-IG, ProSim, DCS World and Condor II VR. The Virtual Reality technology used on NOVASIM VR enables full immersion, 360° view, perfect visual reference and true look-down capability. This results in a perfect applicability for special operations training, mission rehearsal, team training and pilot screening/selection processes. Finally, the simulator is very easy to install, with no special infrastructure requirements given, and easily deployable. Please take the opportunity to meet Roger Klingler (CEO) and Mario Ackermann (Manager Sales & Marketing) of BRUNNER Elektronik AG at Aero 2019. You will find us at Hall/Stand-No. A6-513.